These look absolutely delicious!!! What is a pellet grill? Thanks Chef Mimi. Pellet grills are fired by food-grade wood pellets (mesquite, applewood, etc.). To me they are better than gas grills (which are convenient, but there is less flavor with those) and charcoal grills (great flavor, but inconvenient, and perhaps not so healthy because of the chemicals in charcoal). We’re getting a Rectec mini grill (rectecgrills.com). Thanks! I’m checking into this! Thanks! 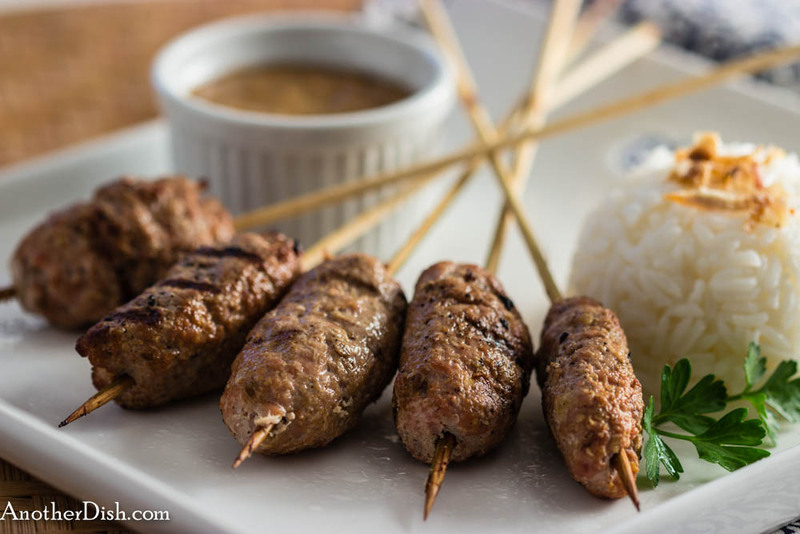 I love satay, as well! How could this not be good? Pork & peanut sauce? Yumm! I know, you can’t go wrong with this! Thanks for the comment! This looks absolutely great. We live in an apartment. No grills allowed on the balconies but we are becoming very inventive with electrical grills! Miss our Weber.